Managerless Brentford went out of the FA Cup after losing to fellow League One side Carlisle in a thriller at Brunton Park. Carlisle's James Berrett opened the scoring just before half-time before Pascal Chimbonda's equalising own goal. Lee Miller bagged a four-minute brace in the second period, including a penalty after a foul on David Amoo. Farid El Alagui pulled a goal back for the visitors, but the Cumbrians held on to progress into the third round. The Bees lost for the first time in 10 games and the result came just hours after manager Uwe Rosler had departed to become Wigan boss. Match ends, Carlisle United 3, Brentford 2. Second Half ends, Carlisle United 3, Brentford 2. Hand ball by Farid El Alagui (Brentford). Foul by Sam Saunders (Brentford). Foul by Jake Reeves (Brentford). Goal! Carlisle United 3, Brentford 2. Farid El Alagui (Brentford) header from the left side of the box to the bottom left corner. Assisted by Sam Saunders. Paul Thirlwell (Carlisle United) is shown the yellow card. Substitution, Brentford. Sam Saunders replaces George Saville. Attempt missed. Sean O'Hanlon (Carlisle United) header from the right side of the box is close, but misses the top right corner. Sean O'Hanlon (Carlisle United) wins a free kick in the defensive half. Substitution, Carlisle United. 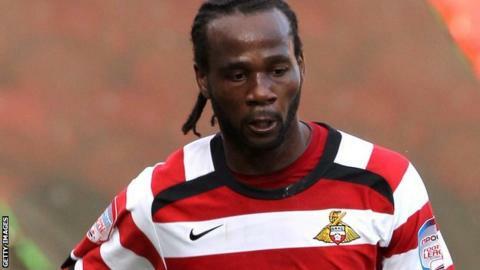 David Symington replaces Pascal Chimbonda. Lee Miller (Carlisle United) wins a free kick in the attacking half. (Brentford) wins a free kick in the attacking half. Corner, Carlisle United. Conceded by Alan McCormack. Goal! Carlisle United 3, Brentford 1. Lee Miller (Carlisle United) converts the penalty with a right footed shot to the bottom left corner. Penalty Carlisle United. David Amoo draws a foul in the penalty area. Penalty conceded by Alan McCormack (Brentford) after a foul in the penalty area. Corner, Carlisle United. Conceded by Clayton Donaldson. Goal! Carlisle United 2, Brentford 1. Lee Miller (Carlisle United) right footed shot from the centre of the box to the bottom left corner. Assisted by James Berrett. Hand ball by Alan McCormack (Brentford). Substitution, Brentford. Farid El Alagui replaces Marcello Trotta. Substitution, Carlisle United. Brad Potts replaces Tom Lawrence. Own Goal by Pascal Chimbonda, Carlisle United. Carlisle United 1, Brentford 1. Alan McCormack (Brentford) wins a free kick in the attacking half.